Three-dimensional printing, a type of additive manufacturing, uses layers upon layers of material to build almost anything imaginable. Once a novelty reserved for architects and product designers, 3D printing is now making its way into nearly every corner of industry. Not only does the technology allow a product to go from concept to reality in a shockingly short amount of time, but it also allows companies to manufacture on demand, eliminating the need for costly storage facilities. As the world catches on to the amazing benefits of 3D printing, we’ve started to see some truly wonderful products made with this futuristic manufacturing method. These are just a few of the most incredible products to be printed rather than produced. 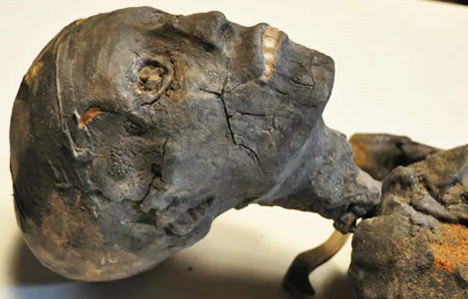 King Tut’s mummy has been fascinating scholars and laypeople alike for many generations, but all of the poking, prodding, moving and studying performed on the mummy has taken its toll. To allow current and future generations to study this priceless relic, an exact replica was made using detailed CT scans and a 3D printer. Once the mummy’s double was printed, master history modeler Gary Staab painted and texturized it to look just like the real thing. The incredible mummy is currently on display in a traveling King Tut exhibit, and it’s so good that many visitors claim to have been surprised to find that the Boy King they examined was, in fact, a fake. The success of this public exhibition leads one to wonder what other priceless artifacts could now be displayed in public via replica. Historic objects that are too delicate to withstand traveling exhibitions could simply be scanned, replicated and displayed to the public without fear of damage or theft. The usual manufacturing process for cars is incredibly long and tedious. But printing the entire body could significantly reduce the time and expense required to make automobiles. Would the printed material hold up as well as traditionally machined auto bodies? Would it be as durable in a crash? 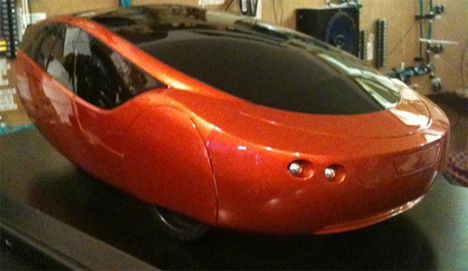 We have yet to see that data, but the world’s first 3D-printed car was introduced in the 2010 X-Prize Competition. The Urbee is a hybrid that gets an unbelievable 200 MPG on highways and 100 MPG in the city. The car is a cooperation between Kor Ecologic and Stratasys; the companies hope that using smarter manufacturing techniques will one day result in cheaper, more efficient transportation. 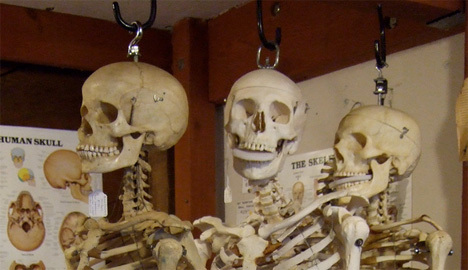 We all hope to avoid the circumstances that will lead to reconstructive surgery…but in the event that we need some radical rebuilding done in the future, chances are good that we’ll receive implants of one-of-a-kind, artificially-created bones. Researchers are working on a method that involves taking detailed CT scans of the area to be rebuilt, building a digital model of the pieces needed, and then producing those pieces with a 3D printer. While artificial bone implants have already been in use for quite some time, they are typically made of hydroxylapatite, a mineral that requires significant work before it can be used in the human body. The new material will be ten times stronger than hydroxlapatite implants (though still not strong enough to be used for load-bearing bones) and be better tolerated by the body so there is less risk of rejection. Although arguably more art than actual manufacturing method, this wonderfully wacky technique from FRONT lets designers sketch their designs in mid-air and then brings them into reality via a 3D printer. The whole process takes less than a day per piece, and every sketched item is completely unique. This wildly futuristic way of making the imaginary into reality has real potential to make it into households one day – provided 3D printers become as ubiquitous as, say, microwaves. As part of an exhibit on the future of fashion, designer Pauline van Dongen created these high heel shoes via a 3D printer. The nylon footwear is stylish and streamlined, but there is no word on how comfortable the shoes are. The shoes were part of van Dongen’s overall Morphogenesis project, a fashion line exploring the interaction between people and their clothing. Need a new liver? How about a nice left kidney? In the future, we very well may be able to produce organs on demand whenever they are needed, rather than waiting for suitable donor organs to become available. 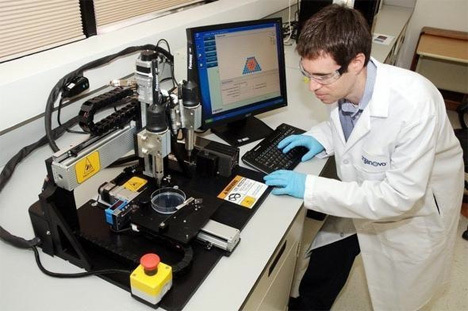 Recently a company called Organovo announced that they are producing the world’s first printers that specialize in printing human blood vessels. Human trials are still a way off in the future, but if they are successful this technology could quickly lead to the ability to print entire made-to-order organs. 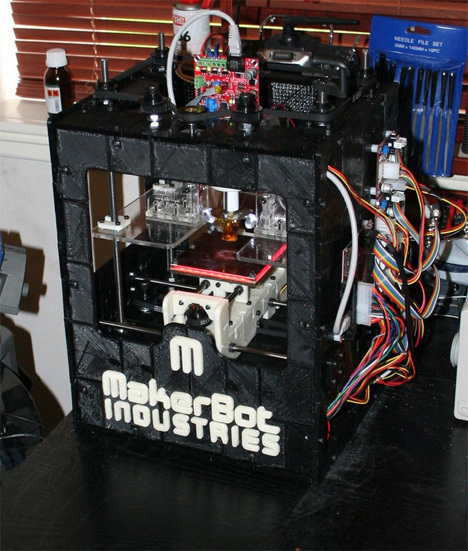 Freedom of Creation has made their niche in the world of 3D printing. 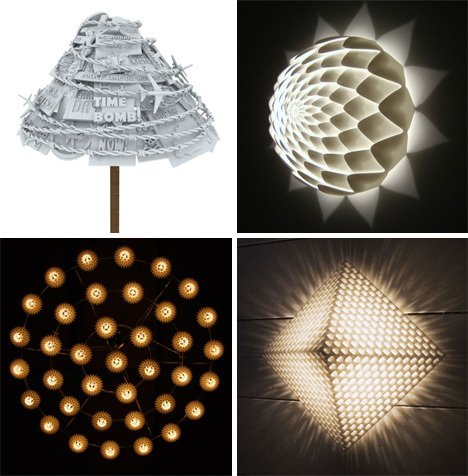 Their gorgeous home lighting designs are enough to make anyone want to remodel, and many of their creations are already gracing the interiors of luxurious hotels around the world. 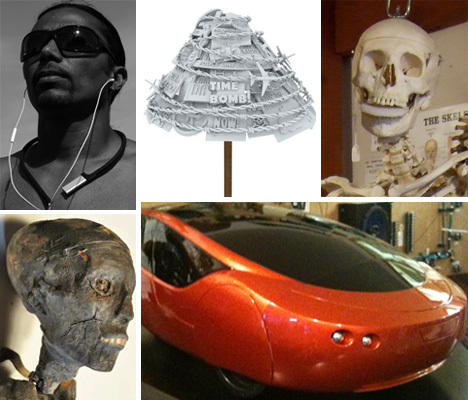 And they are all, believe it or not, created with the additive manufacturing process. 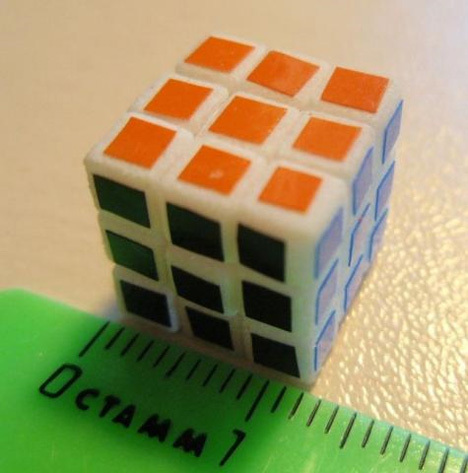 As if the Rubik’s Cube weren’t already difficult enough to solve, Evgeniy Grigoriev went and shrunk it down to a minuscule 12mm to really increase the challenge. His creation can be purchased through his store at Shapeways, which is a print-on-demand 3D printing service – sort of the Cafe Press of additive manufacturing. There was a time not too terribly long ago when synthetic clothing materials seemed a little far-fetched. Today, we wear them nearly every day. So is it difficult to imagine that we’ll one day be wearing clothes that were made not by looms and sewing machines, but by 3D printers? 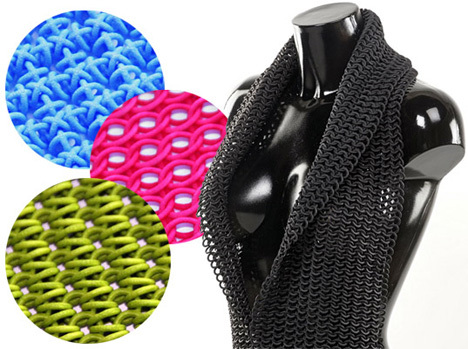 The processes and designs for this type of clothing manufacturing are being perfected right now – and they could just be the next big thing. If every home one day boasts a 3D printer, we will no longer have to go to the store to try on clothes: we can simply pick out a design we like online, plug in our measurements, and print custom-made clothes right from our living rooms. One of the most promising aspects of the 3D printer manufacturing movement is that small-time designers are finally getting a chance to get their products out to the public without the need for huge amounts of start-up money, investors, or corporate sponsorship. They simply need a design that works. Such is the case with Michael Cornelissen, the designer who came up with the ingenious Pod a Porter neckband for the iPod Shuffle. 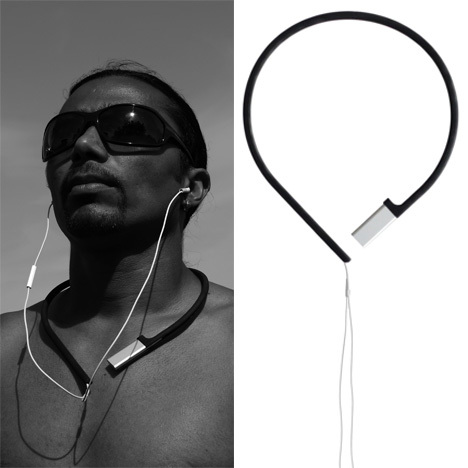 The neckband holds the MP3 player on one arm, cradles the earbud cord in a simple band around the back of the neck, and holds everything securely so that there are no more frustrating mishaps involving the cord and surrounding furniture. Cornelissen’s design is sold exclusively through Shapeways. Ordinarily, the concept of self-replicating machines would be a little scary. But in this case, it’s a positive sign for the future of 3D printing. Many commercially-available 3D printers can create exact replicas of themselves, meaning that someone who owns one can theoretically make 3D printers for everyone he knows. As the technology behind the printing method improves, we could one day welcome lower-cost consumer products of nearly every type. Don’t worry about your job at the factory just yet, though – currently, there are still plenty of bugs to be worked out before we can begin relying on in-home 3D printers for everything we need.